This week, the Washington Department of Natural Resources, led by Commissioner of Public Lands Hilary Franz, released a Washington state Wildland Fire Protection 10-Year Strategic Plan. 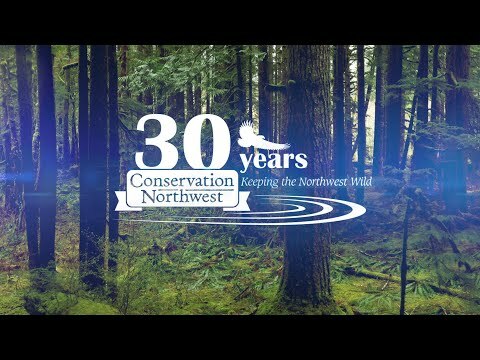 The Strategic Plan, developed by DNR, reflects the input of nearly 1,000 Washingtonians, including experts from the U.S. Forest Service, Washington State Fire Marshal’s Office, Conservation Northwest and local fire agencies. The plan applies to all wildfire response agencies, as well as local emergency responders, forest health experts, and community members. Landscapes are resilient – in the face of wildland fire, they resist damage and recover quickly. Response is safe and effective. Conservation Northwest participated in DNR workshops and provided input on the new Wildland Fire Protection Strategic Plan through our Sagelands Heritage Program, which works to maintain, restore and connect the shrub-steppe landscape of Central Washington and southern British Columbia, and our Forest Field Program, through which we advance the use of the latest scientific research and engage collaboratively with other stakeholders to promote landscape-scale restoration of forests and watersheds. And expanding availability of resources to increase fire-adapted communities. We recognize the need to put resources where they can protect human life and structures as a first priority, particularly because most other fires have the high potential to be beneficial to ecosystems. We also believe response before and after fires should recognize the importance of sensitive or critical wildlife habitat that needs to be considered throughout the process of preventing, fighting, and recovering from wildland fires. Read more in our official comment letter. Or learn about our work on wildfire policy and response on this webPAGE.